Nick's relocation package includes three month's accommodation for our family with various other generous benefits. Unfortunately our apartment is a pet-free zone, so Oscar and Sunny (pictured at left) and Keegan (Erin's rainbow lorikeet) are enjoying a holiday also, staying out-of-town with family. 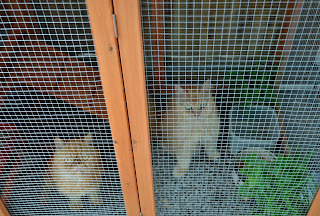 They are being very well looked after - spending more time outside than behind bars! 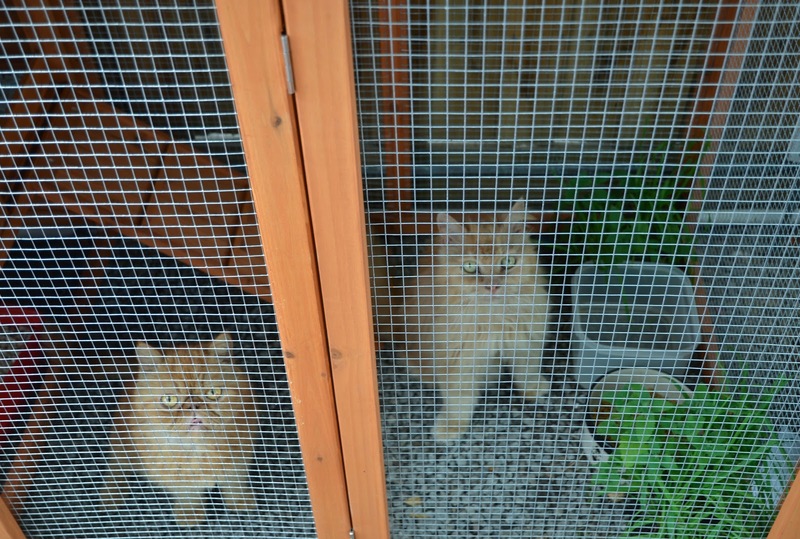 Indeed they may not be keen to come home, particularly Sunny who has been hand-fed chicken tidbits to tempt his appetite!